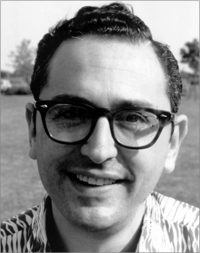 John Bahcall was an American astrophysicist. He contributed to the solar neutrino problem and was a leader in the development of the Hubble Space Telescope. December 30, 1934Birth, Shreveport (La.). 1956Obtained BS in Physics, University of California, Berkeley, Berkeley (Calif.). 1957Obtained MA, University of Chicago, Chicago (Ill.). 1960 – 1962Research Fellow in Physics, Indiana University. 1961Obtained PhD in Physics, Harvard University, Cambridge (Mass.). 1962 – 1970Research Fellow in Physics (1962-1963); Senior Research Fellow in Physics (1963-1965); and Assistant Professor to Associate Professor of Theoretical Physics (1965-1970), California Institute of Technology, Pasadena (Calif.). 1968 – 2005Member (1968-1970); Professor of Natural Sciences (1971-1997); and Richard Black Professor of Natural Sciences (1997-2005), Institute for Advanced Study, Princeton (N.J.). 1971 – 2005Visiting Lecturer, Princeton University, Princeton (N.J.). 1972 – 1974Committee Member, Division of High Energy Astrophysics, American Astronomical Society. 1972 – 1975Member, Physics Advisory Panel, National Science Foundation. 1973 – 1992At-Large Member, Hubble Telescope Working Group. 1976Member, National Academy of Sciences. 1978 – 1981Member, Council, American Astronomical Society. 1980 – 1983Chair, Section on Astronomy, National Academy of Sciences. 1989 – 1991Chair, Astronomy and Astrophysics Survey Committee, National Academy of Sciences. 1990 – 1992President, American Astronomical Society. 1994 – 1995Chair, Panel on Neutrino Astrophysics, National Academy of Sciences. 1996 – 1998Chair, United States National Committee, International Astronomical Union. 1998Awarded Hans A. Bethe Prize, American Physical Society. 1998Awarded National Medal of Science. 1998 – 2003Member, Nova International Advisory Board. 2003Awarded Enrico Fermi Award, United States Department of Energy. 2004Vice President, American Physical Society. August 17, 2005Death, New York (N.Y.). Co-wrote "The Galaxy and the solar system." Both employed at California Institute of Technology and the Institute for Advanced Study. Research Fellow in Physics; Senior Research Fellow in Physics; and Assistant Professor to Associate Professor of Theoretical Physics. Member; Professor of Natural Sciences; and Richard Black Professor of Natural Sciences. President; Committee Member, Division of High Energy Astrophysics; and Member, Council. Vice President and awarded 1998 Hans A. Bethe Prize. Chair, United States National Committee. Chair, Section on Astronomy; Chair, Astronomy and Astrophysics Survey Committee; and Chair, Panel on Neutrino Astrophysics. Received 2003 Enrico Fermi Award. American Astronomical Society centennial [sound recording]: 194th meeting of the American Astronomical Society, 1999 May 30 - June 3. Institute for Advanced Study oral history project files and recordings, circa 1950-2012 (bulk 1988-2012). John Bahcall papers, 1955-2005 (bulk 1971-2005). National Air and Space Museum Space Telescope History Project records, 1983-1990. Selected presentations from the AAS centennial meeting [sound recording], 1999 May 30-June 3. Unsolved problems in astrophysics [videorecording] / John Bahcall and Neta Bahcall. Oral history interview with James Edward Gunn, 1975 February 10. Los Angeles, CA 90024-1575, USA. Oral history interview with Masatoshi Koshiba, 1997 August 30. Oral history interview with Peter B. Boyce, 1997 February 19. Oral history interview with Robert Wagoner, 1988 October 14. Neutrino astrophysics / John N. Bahcall. Solar neutrinos : the first thirty years / edited by John N. Bahcall ... [et al.]. The Galaxy and the solar system / Roman Smoluchowski, John N. Bahcall, and Mildred S. Matthews, editors ; with 34 collaborating authors. Working papers : astronomy and astrophysics panel reports / Astronomy and Astrophysics Survey Committee, Board on Physics and Astronomy, Commission on Physical Sciences, Mathematics, and Applications, National Research Council. John Norris Bahcall Physics Today obituary.